Clarke and his colleague do an excellent job of explaining online technology and how it could fail. It goes over how much of the United States system still relies on networking created forty or fifty years ago for a handful of college students to talk to each other. That infrastructure wasn’t created for security as much as it was created for the exchange of information. Today, that unsecure system is being used by millions of people, and the Chinese and North Korean governments have already exploited and attacked the system. However, as Clarke points out, these attacks are only known because they were able to be detected although good cyber-attacks are able to erase their intrusion and there could be many more attacks or leaks of information that the US doesn’t know about. Although this book speaks in hypotheticals, the warning is quite alarming simply due to the lack of interest by the United States government. After reading this book, it seems juvenile for the NSA to hack into social networks when there are more important digital security risks that need to be addressed. 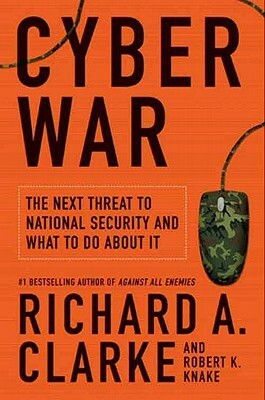 If the reader is interested in how cyber terrorism or cyber-attacks are a threat, this book is a good place to start. For example, it explains how anybody with a working knowledge of networking, machine code and software programing could take down this very site.